Automakers continue to put more electric and electrified vehicles on the market, and the conventional wisdom (not true, by the way) is that no one is buying them. It's more accurate to say no one is selling them. It's no small thing to get consumers to understand, let alone embrace, a new and peculiar type of automobile. And cost will continue to be an obstacle for at least the near term. But a little more good-faith effort would help get the market moving, and could even generate some revenue. Here are 12 things automakers and dealers can do to show some of that effort. Advertise. Even in the era of digital marketing, consumers usually need to spend some time at the top of the sales funnel. It starts with awareness. And yet creative, informative marketing for individual EV models — or even the idea of EVs — has been largely absent from the airwaves. Innovation can be a powerful marketing hook, if you give it a chance. Word-of-mouth campaigns by early adopters aren't enough to support the coming wave of product. Educate dealers and sales staff. The early adopters of EVs came to the dealership at least as informed as the sales staff. That's not going to be the case much longer. If automakers' hopes for EVs are to come true, sales associates will have to be able to walk customers through a battery cycle, and be prepared for questions about the capabilities, and limitations, of the vehicle. They should also be prepared to explain charging options, including manufacturers' deals with third-party charging networks. Don't put a half-trained amateur — or a slinger of IEEE jargon, for that matter — in front of the customer. Hire an EV expert who can communicate with me clearly. Offer me a test drive. Not just at the dealership, but every chance you get. Set up booths at auto shows, grocery stores and state fairs where I can experience an EV's torque and quiet acceleration, and practice one-pedal driving. These are the unique attributes of electric powertrains that most surprise and delight drivers. Talk to me about lifestyle. Just like a pickup, sport coupe or Winnebago, today's EVs can be perfect for some people and situations, and impractical for others. A good salesperson should ask me the right questions to determine whether I fit the appropriate user profile and usage patterns: multiple short trips in a day, for example, or a predictable daily commute. Sell me another vehicle. The knock on EVs is that they require people to own a second car for longer trips. That's only partly true. I might want another car for long-distance trips, but I may not need to own it, as long as a manufacturer or dealer is willing to offer me ready access to a car when I need it. So along with my EV, offer me a white-glove car-share membership or a subscription-based rental plan as an add-on. Sell me peace of mind. Can't talk about EVs without talking about range anxiety, and even with route-planning apps and nav system aids, anxiety is a tough problem to solve without medication. So offer me an added layer of assurance, a guarantee of EV-specific roadside assistance if I need it. The help doesn't have to be free, but it should be available and meaningful. Help me with home charging. EV charging equipment for the home should be in the parts catalog at every dealership. But dealers can do more by partnering with local contractors to offer me a one-stop package that includes equipment, installation and a maintenance contract, and with local utilities to manage incentives and metering issues. At the right price, the margins on these add-ons would help make up for what dealers lose on oil changes and exhaust work. Be honest about energy sources. An inconvenient truth about EVs is that in some parts of the country, the electricity that powers them is generated from fossil fuels. Consumers should understand that tradeoff, and feel comfortable with the choice, or at least as comfortable as they are with burning gasoline or diesel by the gallon. Introduce me to the community. Several of these pointers were offered to me generously by members of the Chevy Bolt EV Owners Club on Facebook. (Yes, I'm already sold.) This group is for registered EV owners only, but many others like it are available to prospective owners as well to field questions and address doubts. Automakers and dealers, too, should be interacting with these forums to better understand the EV customer base and figure out how to improve their products, services and sales pitches. 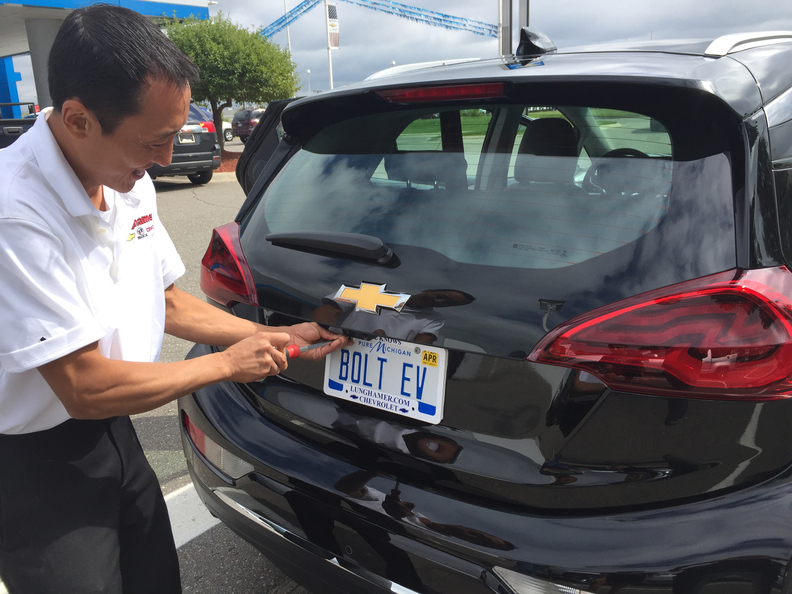 Krishnan M. Anantharaman owns a 2017 Chevy Bolt EV with 17,667 miles on the odometer.